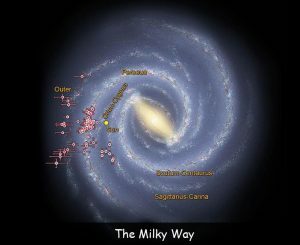 You probably know that our galaxy is called the Milky Way. We now know that there are billions of different galaxies spread all over the universe in wonderful different shapes and sizes. Now we are going to look at and learn about our nearest neighbouring galaxy. This galaxy is called ‘Andromeda’ and is as amazing as our galaxy. Andromeda is home to over 1 trillion stars. That’s over at least two times more stars than the Milky Way. Andromeda is 15 million million million miles away from the very edge of the Milky Way. Yes, that is a very long way I know. Andromeda and the Milky Way are part of the ‘Local Group’ which is a group of galaxies that are local to where we are. Roughly! Andromeda is the largest galaxy in the local group of galaxies. Andromeda and the Milky Way are on a collision course with each other, and will eventually collide with each other, however we are all safe. This will not be for around another 4 billion or so years. In fact, Andromeda and the Milky Way are hurdling towards each other at about 100 miles per second. Now that just really goes to show how far away other galaxies and stars are, and how massive our universe really is. When these two galaxies finally come together, they will create a bigger galaxy. Forming a giant Elliptical Galaxy. Because Andromeda is the closest galaxy to us, and is the same type of galaxy as ours, by looking at and studying this galaxy through telescopes from afar, we can learn more about our galaxy and other galaxies. # 1. The Andromeda galaxy is only one of the few galaxies that can be seen from Earth. # 2. Like the Milky Way, Andromeda has a massive black hole at the center of the universe. However it’s gravity is believed to be so strong there may actually be even more than one black hole. # 3. The distance of Andromeda away from the Milky Way is 2.5 million light-years away. Q. How many stars are in Andromeda? Q. How many lights years away is Andromeda from the Milky Way? Q. When will the Milky Way and Andromeda collide? Q. 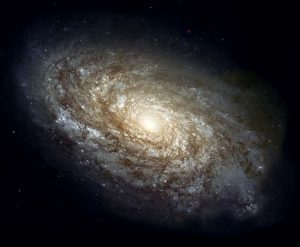 What type of galaxy is Andromeda? Q. 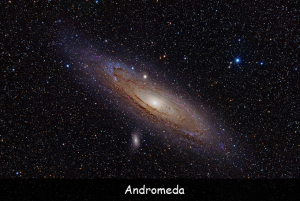 Is Andromeda visible from Earth? 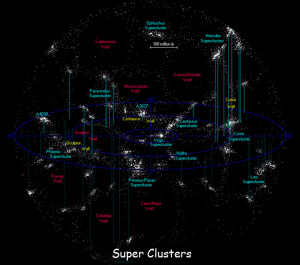 Key Vocabulary Universe. Galaxies. Elliptical. Gravity.